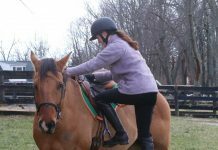 EcoLicious Equestrian GLOSSY Gloss Enhancing Tonic conditions, nourishes, moisturizes and adds gloss—without chemicals, silicones and parabens. Light – reflecting minerals create a delicate shimmer. 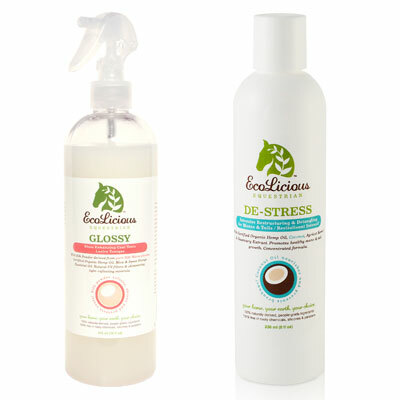 EcoLicious Equestrian De-Stress Intensive Restructuring and Conditioning Treatment provides a cocktail of antioxidants and essential fatty acids to “feed” moisture starved scalp and tresses with certified organic hemp oil, coconut, apricot, wheat germ and olive oil.